Poultry layer farming is gaining popularity in India due to it’s lower production cost and growing demand of eggs. Discover how to plan and start an egg poultry farm or layer farm. Poultry farming is done commercially for two purposes, viz. meat(broiler farming) and eggs(layer farming) since they both are high source of proteins, vitamins and other minerals necessary for a balanced human diet. Layer poultry is rearing of birds commercially for egg laying purposes. Globally China ranks highest in egg production with 24.8 billion kilograms in shell followed by US producing 5.6 billion kilograms. India ranks third in the world by producing 3.8 billion kilograms in shell. Andhra Pradesh, Tamil Nadu, Haryana, Maharashtra and Punjab are the leading egg producing states in India in the same order. There is a rise in egg production in India owing to the growth in human consumption and lower production costs. Country chicken farming is popular in India since decades. But, there has been a tremendous progress made in the egg industry in the past few decades. Owing to competent professional and technical expertise, sophisticated equipment, better medicines and high quality chicks, the Indian poultry layer farming industry has made tremendous progress. There are research institutes that provide training to farmers. As a result the management practices have improved tremendously leading to reduced mortality rates. As per the ICMR recommendation, for a balanced diet about 182 eggs are needed per person annually. Currently, the per capita egg consumption is 41 eggs. The Animal Husbandry departments, Central and State Governments provide assistance to farmers for providing infrastructural facilities. In addition, poultry layer farming is given a lot of importance in the national policy owing to which there is a lot of scope of improvement and development. Farmers categorize their poultry birds into different stages like brooding, growing, pullet and layering. Layering starts when the birds are of 20 weeks of age. Once the birds reach the egg laying age they are given layer feed. They are transferred to the egg laying quarters at the age of 18 weeks. Unproductive, sick birds must be removed from the flock. Such birds are normally culled. Layering period generally lasts up to 120 weeks. It is necessary to replace the old flocks in an existing poultry farm since maintaining the old flock is a costly affair. In addition, egg production must be steady to meet the market requirements. Individual Nest: There is one box for every 4-5 birds. Community Nest: This is a single nest box accommodating 40-50 birds. Trap Nest: This type of box is used for research purposes since it accommodates one bird at a time. In deep litter system, litter material must be spread up to six inch thickness. Adequate floor space must be provided to the birds irrespective of the rearing system that is being followed. In case of deep litter system, a floor space of approximately 2 sq. ft. per bird must be provided. In case of cage system, the floor dimensions must be 18 inch by 12 inch. This space is sufficient to accommodate 3 to maximum 5 birds. There should be covering on the outside to prevent wind and rain from entering the cage. Owing to the increase in awareness about providing humane treatment to the birds, some farmers let the birds spend their time outdoors in pasture-like areas. In such cases however, the birds must be adequately protected from predators. Layer birds need fourteen hours of daylight while their laying cycle is on. Sometimes owing to seasonal changes it becomes necessary to provide artificial light for an extra 2-4 hours. Providing lights not only stimulate egg production but also provides more time for the birds to feed. Farmers commonly use one 50 watt bulb for every 100 birds. Sometimes they install a timer to switch off and on the lights automatically. Eggs must be collected regularly from the nests. In deep litter system, it is collected five times a day and twice a day in cage system. Farmers commonly attach an egg roll-out to the nest. This facilitates egg collection outside the pen. Blood stains and manure on the shell of the eggs can be washed with water. The cleaned eggs must be refrigerated immediately else they may develop bacterial contamination. In case the culling rate turns high then it is an indication of management problem such as development of disease, infrastructural problem, etc. which must be addressed immediately. Different strain varieties are available for commercial rearing of layer birds such Lohmann, BV-300 (white), BV-380 (brown), Hyline Brown, Bovan’s White and Hyline W-36. Body weight at 20 weeks is 1.5 to 1.7 Kg while at the end of the production the body weight increases to 2.1 Kg. The color of the egg shell is brown. It produces about 345 eggs in fourteen months. At the time of hatching egg the birds are 25 weeks of age. Number of hen housed eggs at 21 to 72 weeks is 287 eggs. Both male and female livability of the birds at 72 weeks is 92%. Average weight of the eggs laid is about 60g. Up to 72 weeks of age they lay 330 eggs. Body weight at 72 weeks is 1.6Kg and at 20 weeks is 13 Kg. Average body weight at 72 weeks is 1.9 Kg. Feed consumption between 21 to 72 weeks is 43 Kg. Their growing period is up to 17 weeks and they weigh 1.7 Kg at 72 weeks. They consume 5.62 Kg of feed. A single hen produces up to 22Kg eggs till they attain 80 weeks of age. Individual egg weight at 32 weeks is 61.6 Kg and 64.1 Kg at 70 weeks. Their growing period lasts up to 17 weeks. The body weight at 17 weeks is 1.2 Kg and at 76 weeks is 1.7 grams. The egg laying period starts at 18 weeks and up to 72 weeks it has optimal laying period. Average individual egg weight is 60.5 grams. They yield up to 330 eggs. Growing period lasts up to 17 weeks. Body weight at 17 weeks is 1.24 Kg and 1.54 Kg at 70 weeks. Average individual egg weight at 38 weeks is 60.1 grams. Feed gets spoilt quickly. Hence the feed at the bottom would get spoilt and consuming it can affect the birds’ health and egg production. Birds peck food while eating thus wasting a large amount of food if the feeder is full. Ideally, farmers must fill just adequate amount of feed in the feeder often- once in the morning, then at noon and in evening if needed. The feed must contain at least 18% of protein. In addition, any change in the ration must be done gradually and not all of a sudden. There should be also provision for clean water. Layer birds suffer from different diseases like Newcastle disease, fowl pox, parasites, etc. that affect the egg production. The most common symptoms are sneezing, rattling, uncoordinated movements, paralysis, twisting head and neck, etc. Sometimes in case of diarrhea the discharge is whitish or bloody. The veterinarian must be contacted immediately if any of the abnormal disease developing symptoms are noticed. In addition the birds must be vaccinated at the correct time to prevent developing diseases. Healthy layering chicks belonging to be improved strain must be purchased from certified and government recommended centers. Clean housing facilities with adequate air and light must be used. They be disinfected and scrupulously cleaned after one batch is disposed. Good quality, balanced feed must be given at the right age. Layer feed which is generally given at 17 weeks must be started gradually by the age of 16 weeks. Avoid excess consumption. Similarly the feeder must be cleaned regularly to prevent rat infestation on the leftover feed. Fresh, clean drinking water must be available for the birds at all times. The water tray must be kept clean and the care should be taken to prevent the birds from getting inside the trays. Do not expose the water trays to sun during peak summer time. Clean surroundings, adequate ventilation, regular checking of birds and following the vaccination schedule religiously are the best ways to arrest diseases. Dead birds must be checked for the cause and visceral organs must be examined. 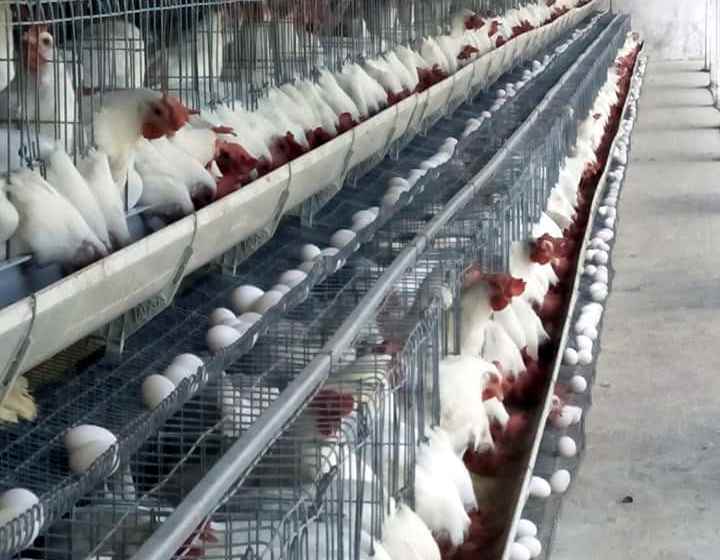 Poultry layer farming is a viable business especially since there is a huge market for eggs. In addition the investment involved is not high. 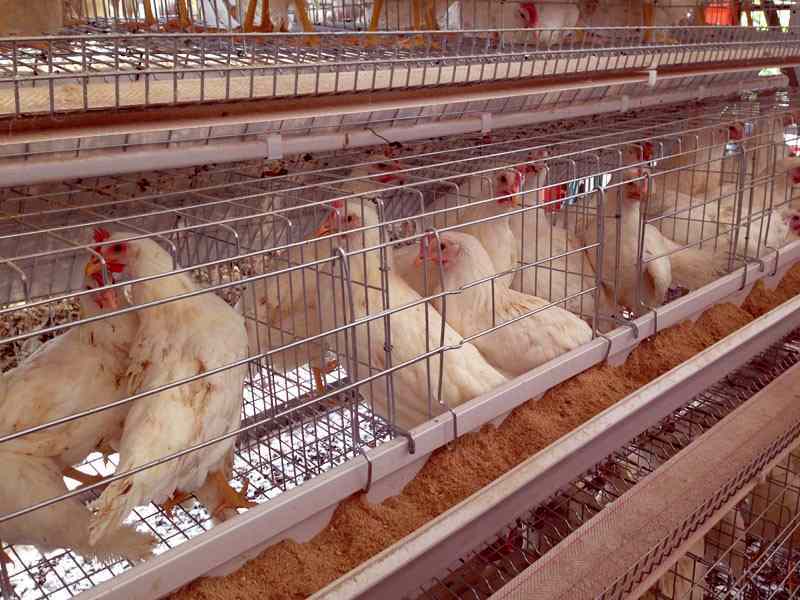 Always consult with experts for management practices before investing in an egg poultry farm or layer farm. I want to begin poultry layer farm, so I need assistance in beginning. Layer poultry farming is increasingly being popular due to increase in market demand of eggs. Please talk with our expert if you need professional consultancy service in layer farming. I just want to ask that where I can get Lohmann brown bread in Madhya Pradesh or Uttar Pradesh. Hi, can I have your contact details please. If you want professional consultancy service then contact our expert. I want to contact personal layer farming trainer, I live in Mumbai. Do you want layer farming training or consultancy? You are most welcome. Please talk with our experts. I m beginner to this farming and interested to this. I’m from Sikar Rajasthan. Can layer farming is suitable in a such terrestrial conditions where max 49 and min 1 to 2 degrees temp. Rise n fall respectively. Should I take any training before starting this farming if yes then from where and which companies and government agencies are looking for such farmers. If you want to do layer farming commercially then you should get professional consultancy service. Poultry experts will give you protocols to run a successful layer farming business.